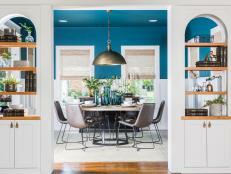 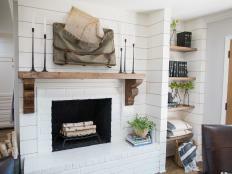 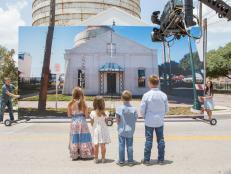 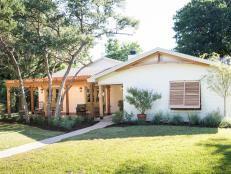 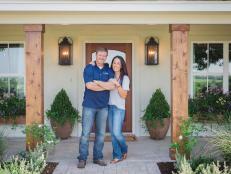 HGTV visited Chip and Joanna's Magnolia Silos for the 2nd Annual Silobration. 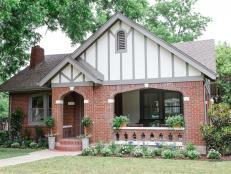 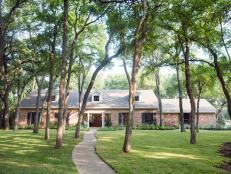 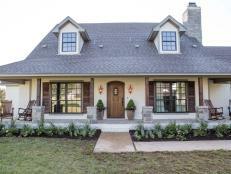 See every adorable detail of the Waco, Texas property. 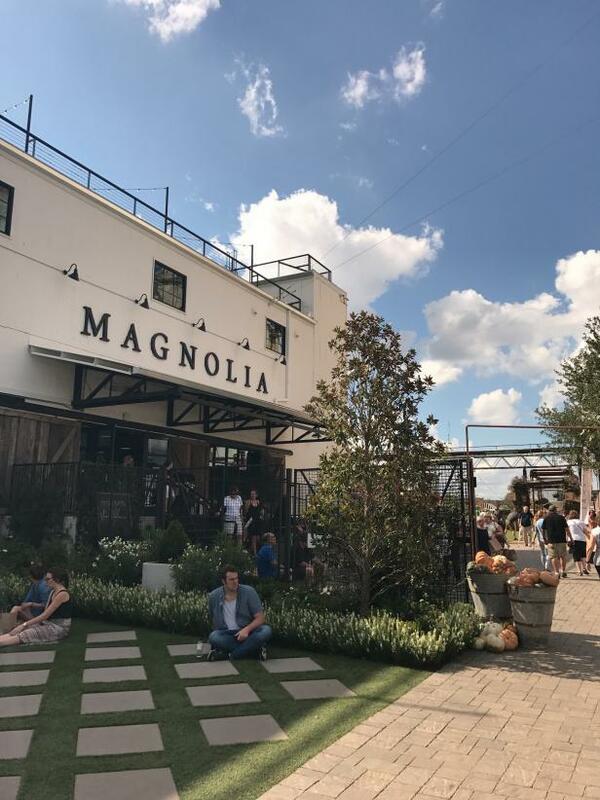 The Magnolia Silos house a home goods store, gardens, a food truck park and a stage for larger events. 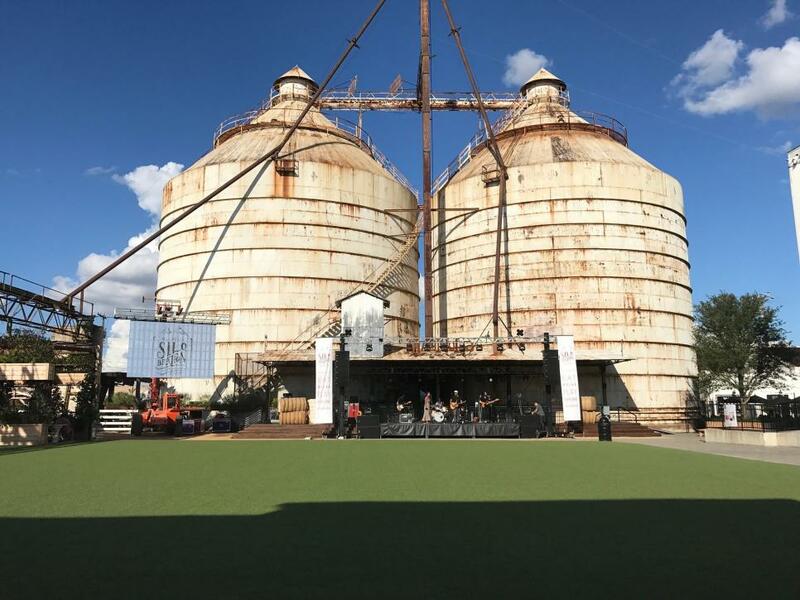 HGTV visited the Silos for the 2nd annual Silobration, which included a vendor fair, music from band Johnny Swim and, of course, appearances from Chip and Jo! 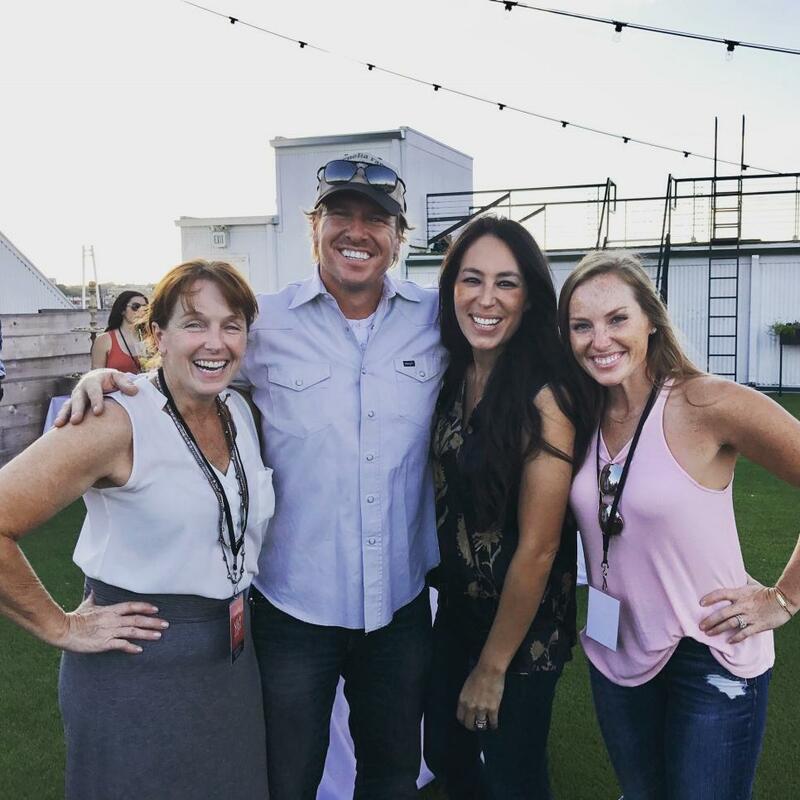 HGTV favorites Chip and Joanna Gaines pose with some of our newest stars, Karen E Laine and Mina Starsiak of Good Bones. 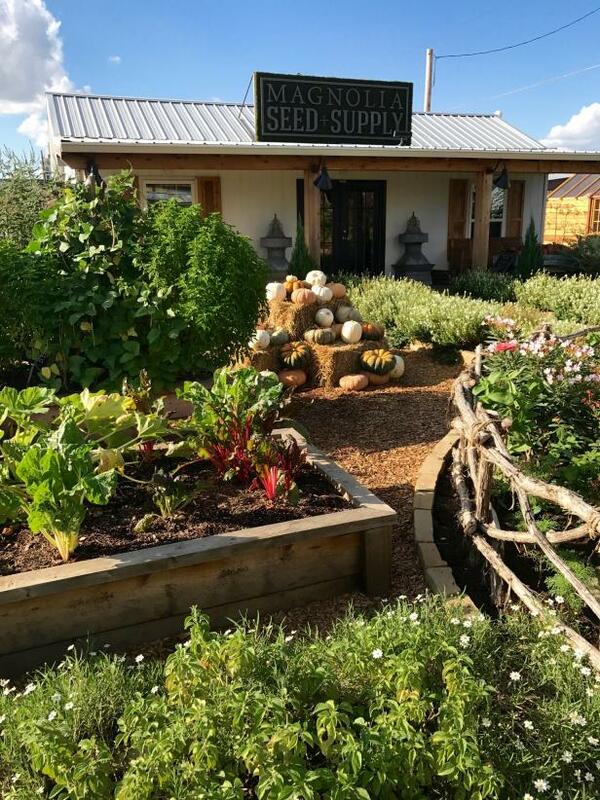 Lush fall landscaping surrounds the Silobration stage. 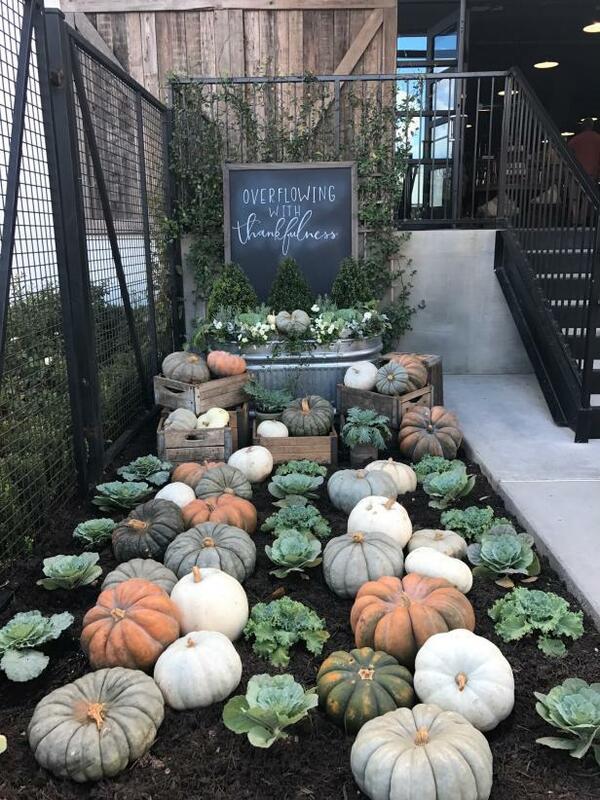 Cabbages, herbs, pumpkins and gourds create the perfect fall scene. 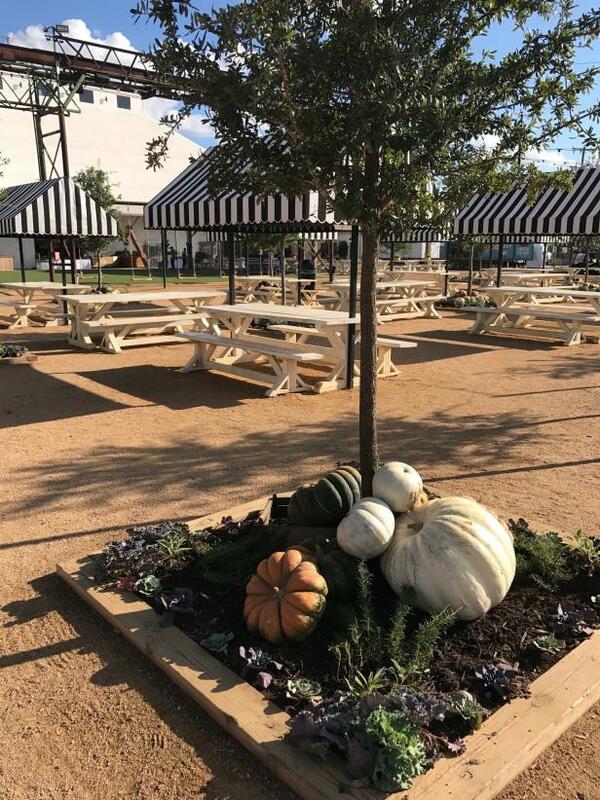 Every inch of the Silos is Instagram-worthy, like this perfect-for-fall pumpkin and cabbage scene, complete with a hand-lettered chalkboard quote. 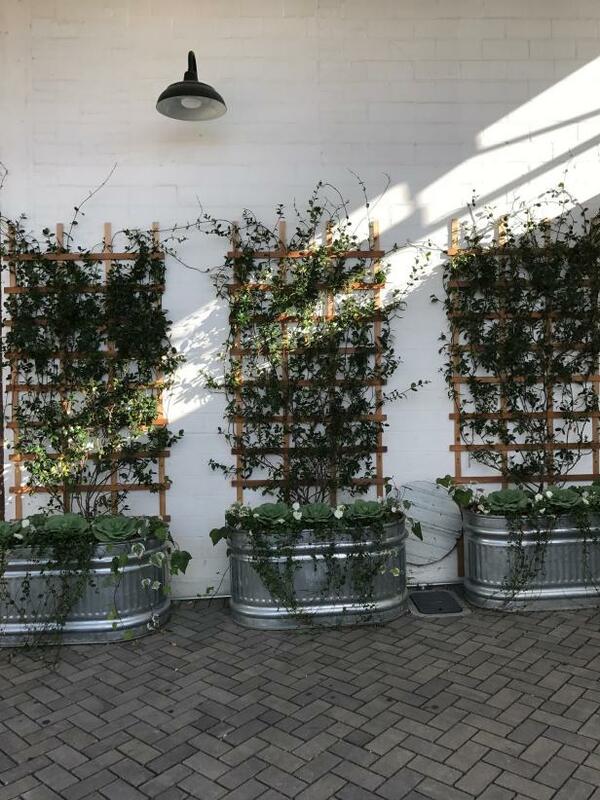 The Silos' food truck park features everything from crepes to coffee, and the vendors offer a side of great design. 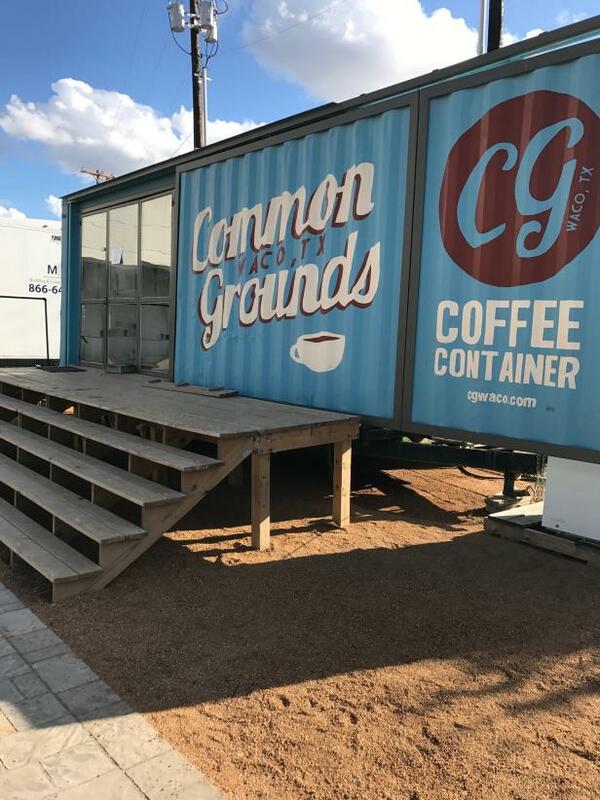 Here, the Common Grounds coffee company set up shop in a converted shipping container. 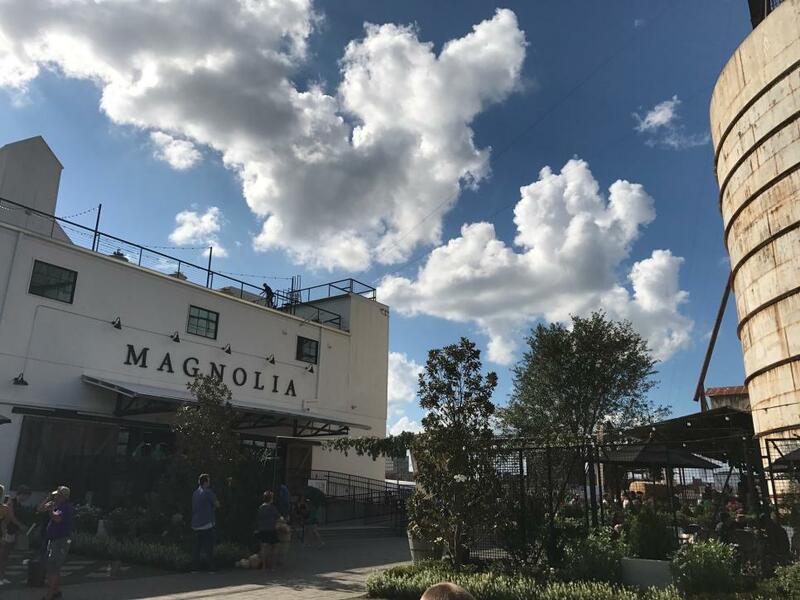 Black-and-white awnings shade picnic tables from the Texas sunshine and provide a spot to munch on food truck eats. 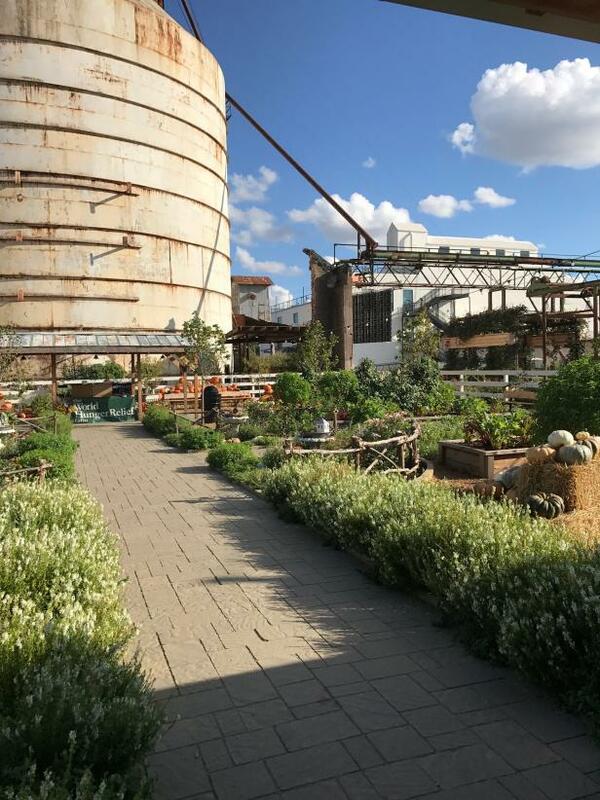 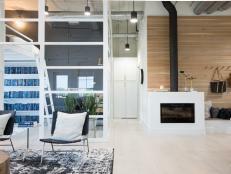 Inspiring design that would be at home in any Fixer Upper renovation is in full display at the Silos. 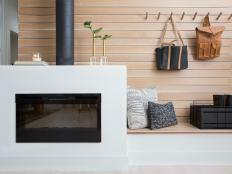 Here, wash tubs serve as modern-rustic planters. 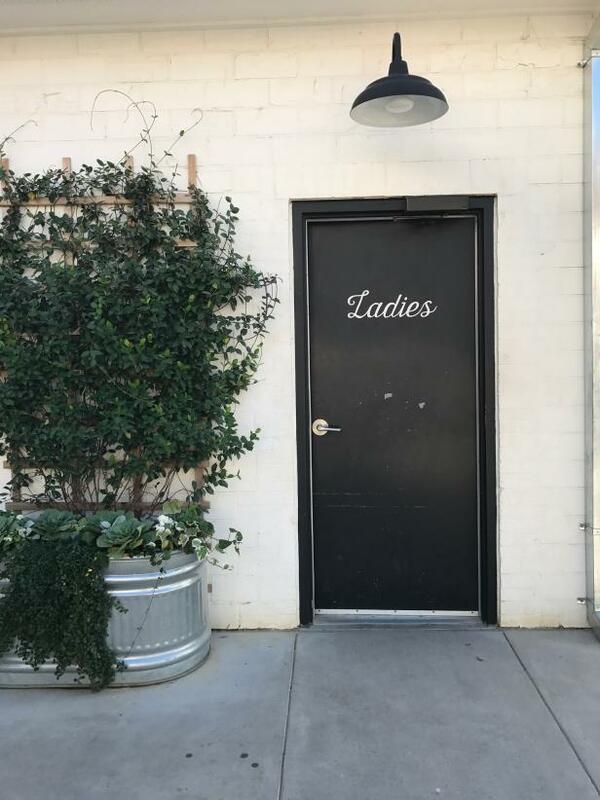 The Fixer Upper aesthetic even extends to the restroom, which is labeled with a sweet script stencil. 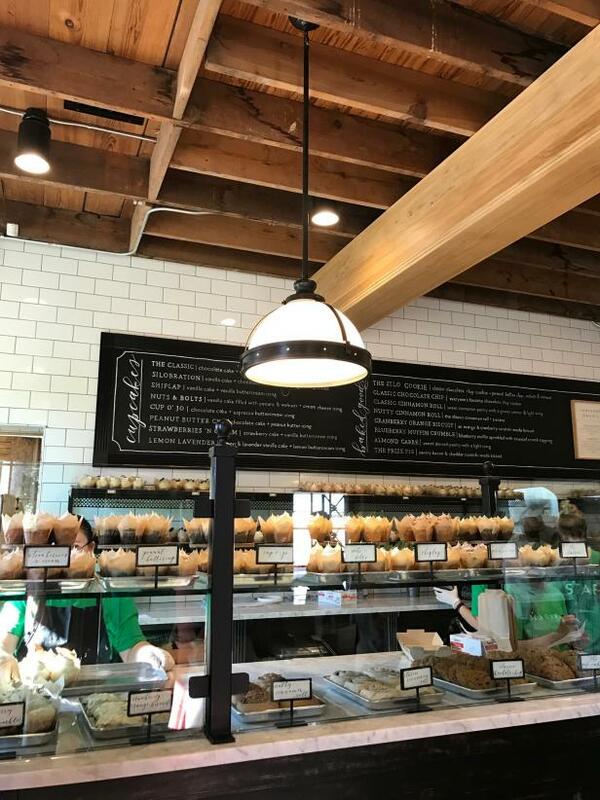 Many times the size of Chip and Joanna's original Magnolia Market store, the larger location still offers home goods featuring Joanna's signature design aesthetic. 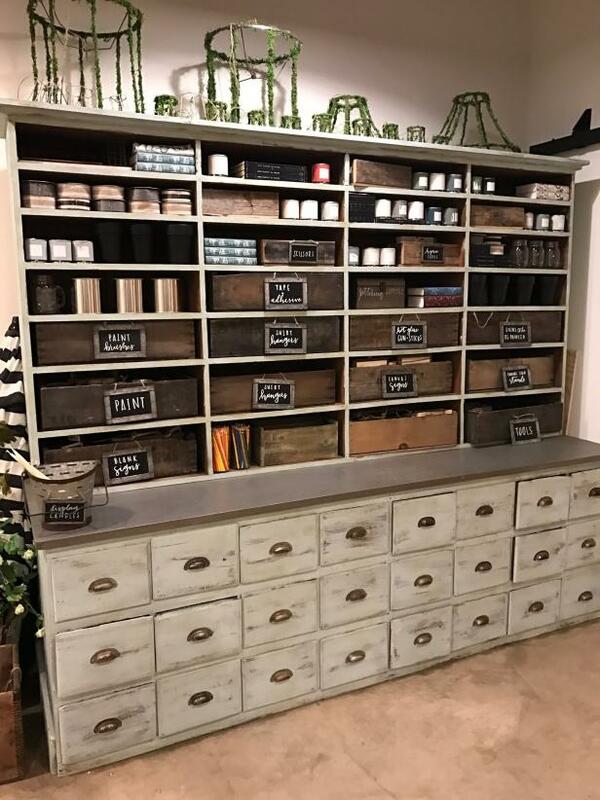 Chalkboard labels and a vintage library-style cabinet keep shop goods looking tidy. 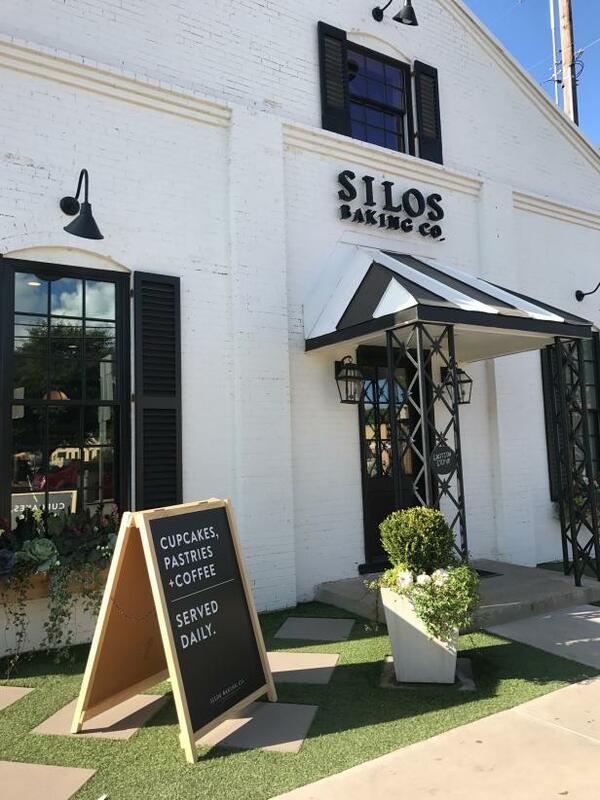 ...sweets from Silos Baking Company! 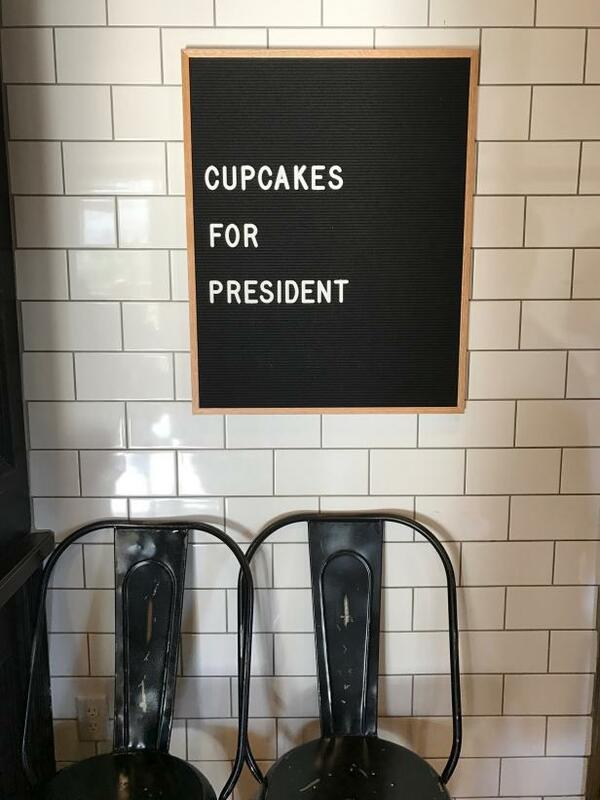 A sweet vignette inside the bakery. 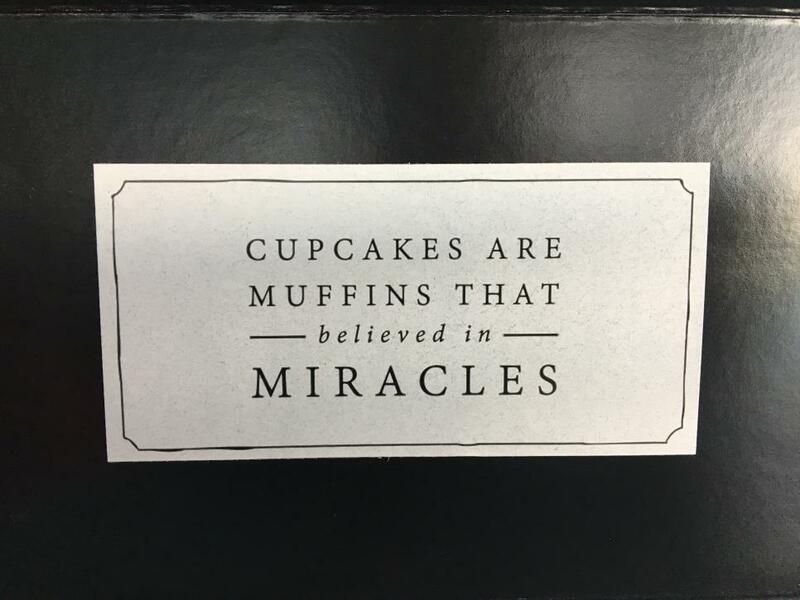 Baked goods come with a sweet cupcake-inspired quote. 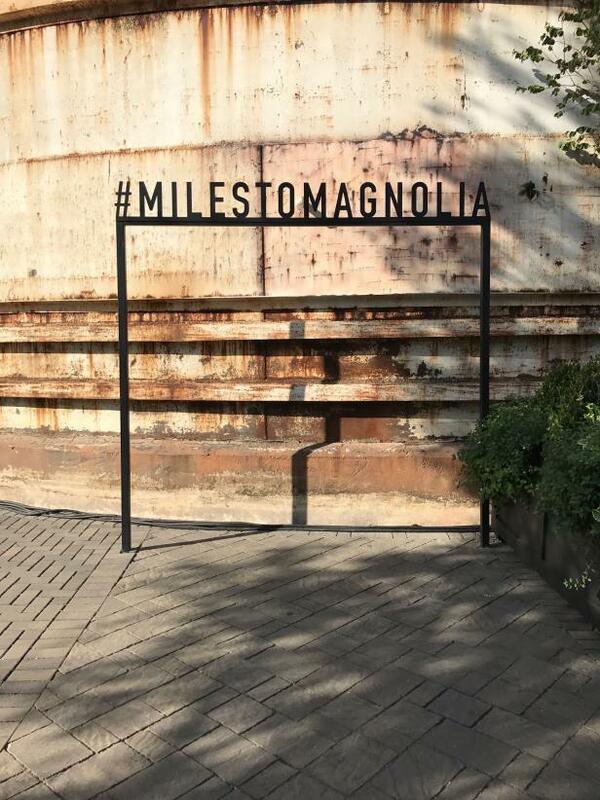 Visitors can pose under the #MilestoMagnolia sign, then post their photos to Instagram to see how far other Fixer Upper fans have journeyed. 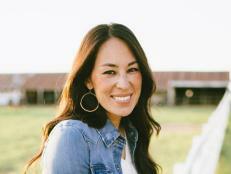 The event staff prepares for the stage for singer/songwriter duo Johnnyswim. 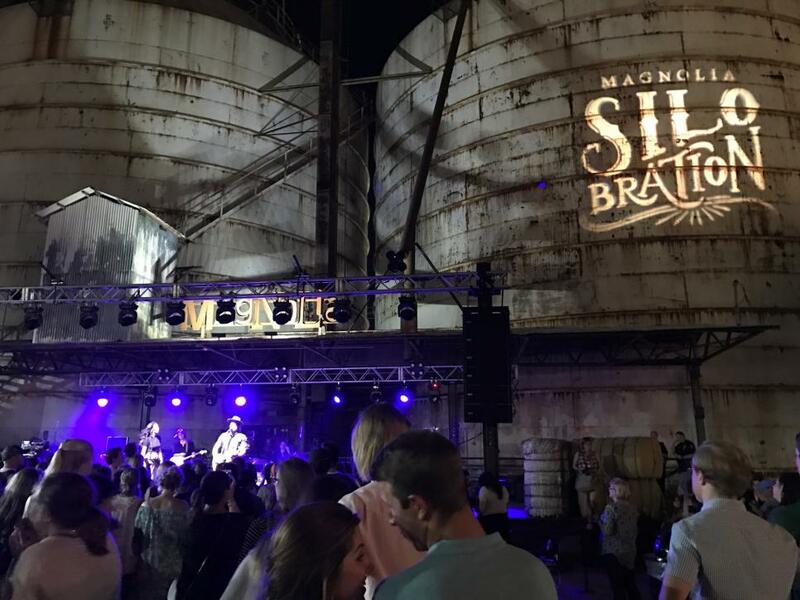 Johnnyswim performs at the Silbration. 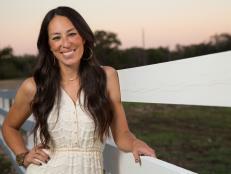 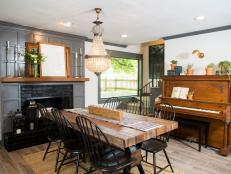 Wish you were here, Fixer Upper fans!